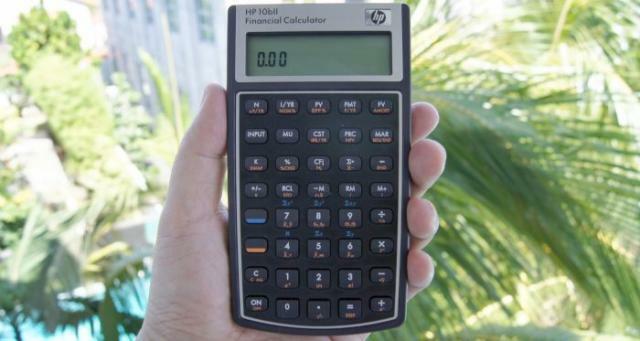 HP 10bII has over 100 built-in functions for business, finance, mathematics, and statistics so you can easily figure loan payments, interest rates, amortization, discounted cash flow analysis and more. Uses only algebraic data entry mode. It has an intuitive keyboard layout with easy-to-read labels. Keys are position for ease to calculate TVM and other finance functions. Business calculations like markup, cost, price, margin, IRR, NPV, cashflows are just keystrokes away. 2-variable statistics functionsBasic scientific functions. It has 16 registers more than the earlier hp 10b model. Memory is structured into separate statistics and independent (including financial) registers. HP Part Number F1902A. Tagged By: Difference Between HP 10bII and HP 10bII+ Plus, (a) Cost Estimation with Linear Regression, CFP - Certified Financial Planner, Battery - Replacement Chart.